November | 2014 | The British in Crete, 1896 to 1913. Oh dear…The French got there first. 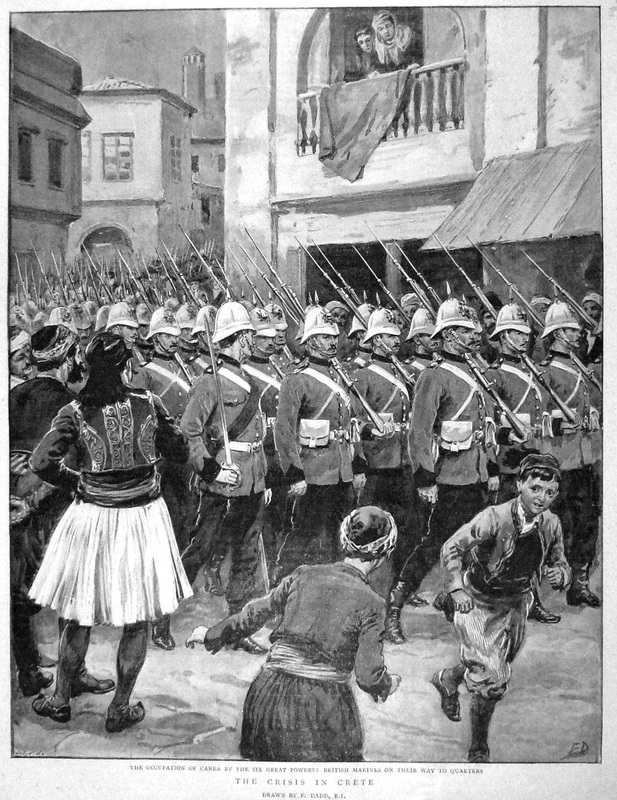 On 24th March 1897, the first detachment of the British army landed in Crete – British sailors and marines having arrived on the island the previous month. Once the political decision to send British troops had been taken, the troops allocated the task were the 1st Battalion, Seaforth Highlanders, then stationed in Malta. 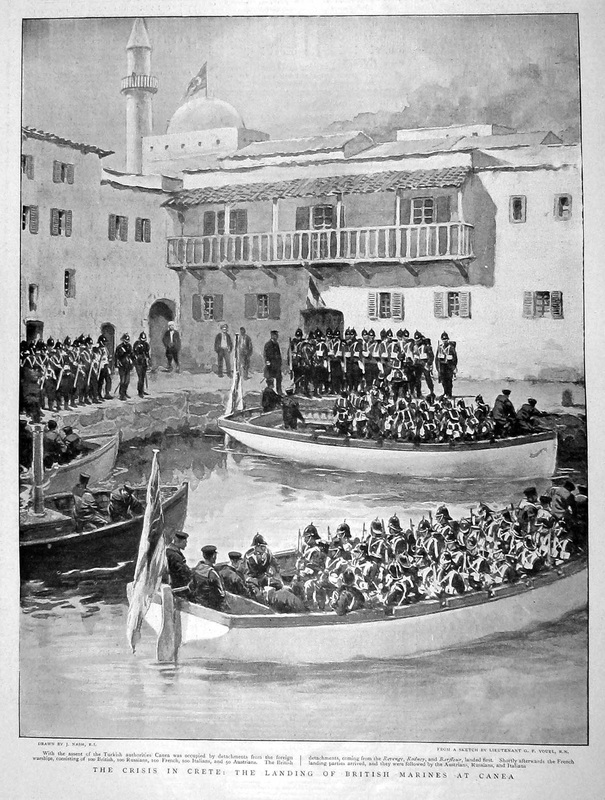 After some logistical difficulties – shortages of gaiters and helmets were reported, steps were taken to minimise the cost of the expedition by hiring local transport rather than bringing army mules and requests were made for smallpox vaccine – on 22nd March they left Malta for Crete on the steamer S.S. Clyde, arriving at Canea on the 24th. 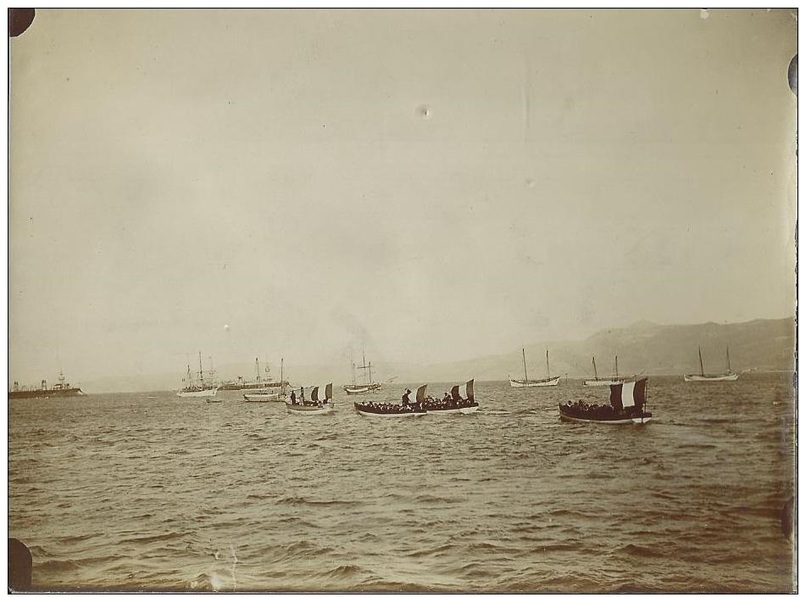 The troops were disembarked from their ship in Royal Navy cutters, an experience which was not always straightforward given the difficult seas off the northern coast of Crete and which in at least one case later in the Intervention, resulted in the loss of a British battalion’s two Maxim guns. “Canea Tuesday 24 March 1897. Egerton’s reaction, and that of his men, to having to come ashore after, and be protected by, French troops is not recorded. This entry was posted in European Intervention Crete, French troops and tagged French Troops, International troops, Seaforth Highlanders on November 27, 2014 by Mick McT.